Justice Clarence Thomas had some blunt words for anyone planning his retirement party from the Supreme Court: Not gonna happen. 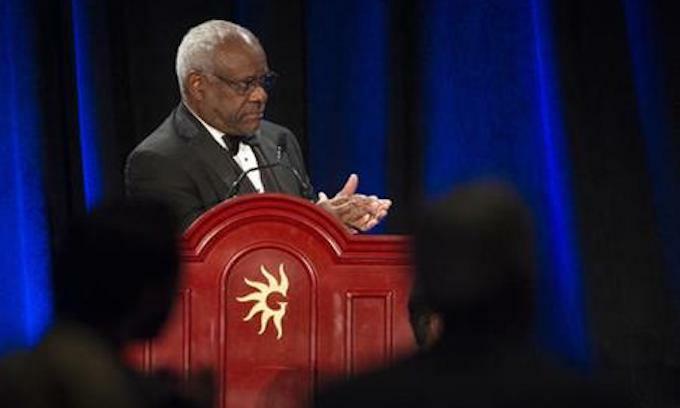 “I’m not retiring,” Justice Thomas declared in an appearance last month at Pepperdine University. The 70-year-old jurist has the longest tenure of any current justice, having been confirmed to his seat in 1991. Justice Thomas, a practicing Catholic, also touched on faith during the appearance, chiding Senate Democrats who have challenged the religious adherence of some of President Trump’s judicial nominees. Judge Amy Coney Barrett, now confirmed to the 7th U.S. Circuit Court of Appeals, faced a grilling about her Catholic faith during her confirmation hearing. Sen. Dianne Feinstein, California Democrat, told the nominee her “dogma” showed through. Other judicial picks have also been asked about their religion, as well as memberships in church-affiliated organizations like the Knights of Columbus. “I remember having these discussions with Justice Scalia, who was a practicing Catholic, and he felt the way I did — that it would be a violation of his oath to somehow allow his faith to displace the law,” Justice Thomas said. May God grant you a long life Justice Thomas, and may you be joined by many more of your persuasion! The only 2 who should be forced to retire are that rabid libtard Ginsburg and that even worse one, roberts! I’m not sure that Ruthie is even still breathing. She looks like they just propped her up so we’ll think she’s still alive. And yes, Roberts needs to go.